Has Your Cat Had Their Annual Exam at VMC of The Woodlands? In Purrrfect Health: Has Your Cat Had Their Annual Exam at VMC of The Woodlands? At Veterinary Medical Center of The Woodlands, we believe wellness check-ups are imperative to the health and happiness of your cat. The AVMA president, Dr. Douglas G. Aspros, said, “the human-animal bond is stronger than ever, but we are very concerned that pets may not be getting the preventive health care they need”. In 2011, 45% of cat owners didn’t take their feline friend for their annual wellness exam. • The potential for catching a disease in the early stages. • Maintaining your cat’s dental health. • Ensuring your cat is parasite-free. • Preventative care is better than reactive care. The cat carrier (crate) is key. Teaching your cat to love their carrier and establishing it as a safe zone to help in times of stress. 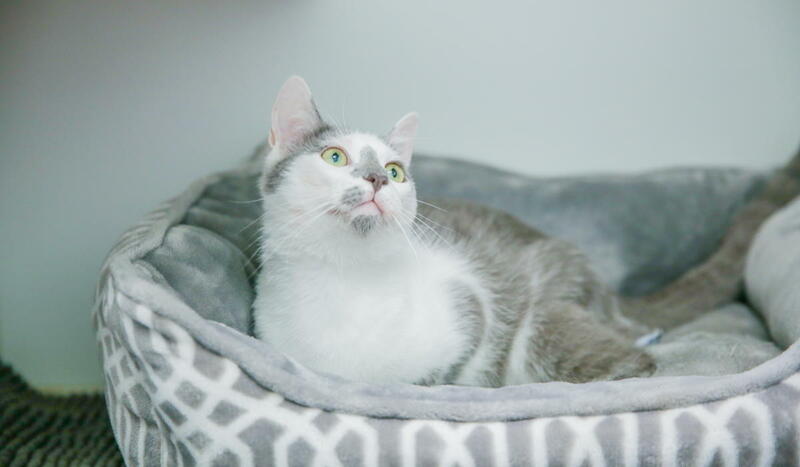 We also recommend making the crate inviting with a cozy blanket and toy inside. Train your cat to tolerate being handled. If you start this while they’re a kitten, it will likely be easier. A good place to start is to hold them and gently touch their paws. Ask friends to do the same so that your cat becomes accustomed to interacting with other people. Practice going on car rides. The car is another place that can cause stress for a cat. You can do this in increments to get your cat used to being in the car. First, just sit in the cat crate in the car. Once your cat becomes comfortable with that, then drive down the street. When driving short distances becomes tolerable, then work your way up to drive longer distances, and then eventually to Best Friends Veterinary Hospital. Rewarding good behavior with cat treats is always a good idea when trying something new with your feline. Feline pheromone spray can help relax your cat. Spraying it inside the crate, in the car, and on a towel to put on top of the crate can help with the whole process of visiting the vet. Talk to us! As veterinarians, we understand feline health and behavior. We want your cat’s visit to the veterinarian to be stress-free. 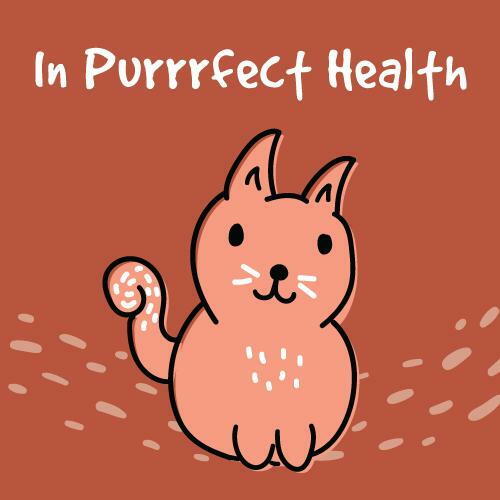 Make sure your cat is in purrrfect health. Receive 20% off your cat’s annual exam during the month of August! Book an appointment with Veterinary Medical Center of The Woodlands today! *Promotional discount expires August 31, 2018. Clients must book an appointment during the month of August to qualify. Discount valid only on an exam. Cannot be used on other services. Coupon only valid at VMC of The Woodlands in Spring, TX. Cannot be combined with other offers and is not redeemable for cash. Must present coupon at time of appointment.